Atlus doesn’t have a European counterpart, so the Shin Megami Tensei games like Devil Survivor 2 have had to be released by other niche publishers. Publisher Ghostlight is trying something new (or at least something I’ve never heard of): they’ll bring the game to Europe if 1,800 people pre-order it. There are two ways to pre-order—one is to buy the game separately for £24.99 or €29.99, the other is to buy the game in a combo pack with Devil Survivor Overclocked for £49.98 or €59.98 (a £10/€10 discount). The pre-orders will be open for one month. If the game doesn’t break 1,800 by then, those who pre-ordered the single game will get their money back, and those who ordered the combo pack will get £24.99 or €29.99 back and so will get a £10/€10 discount on Devil Survivor Overclocked. In a way, it’s a little like a Kickstarter. Now, this might seem unfair, or maybe greedy, but this is an attempt to ensure that the game breaks even on manufacturing costs. Pre-orders will begin soon, so keep an eye on the Ghostlight store. Our own Jonathan Higgins gave a passionate statement about the Devil Survivor games: “Devil Survivor and its sequel are #*&$&^#^#^#@^#&#&$^$^#^## amazing. <3″ (Yes, those are his exact words.) 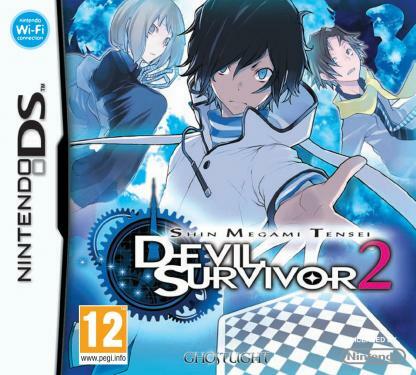 And even if the games don’t sell 1,800 copies, European fans can always import Devil Survivor 2 for the region-free DS, though that should only be a last resort. European fans should definitely support this effort.